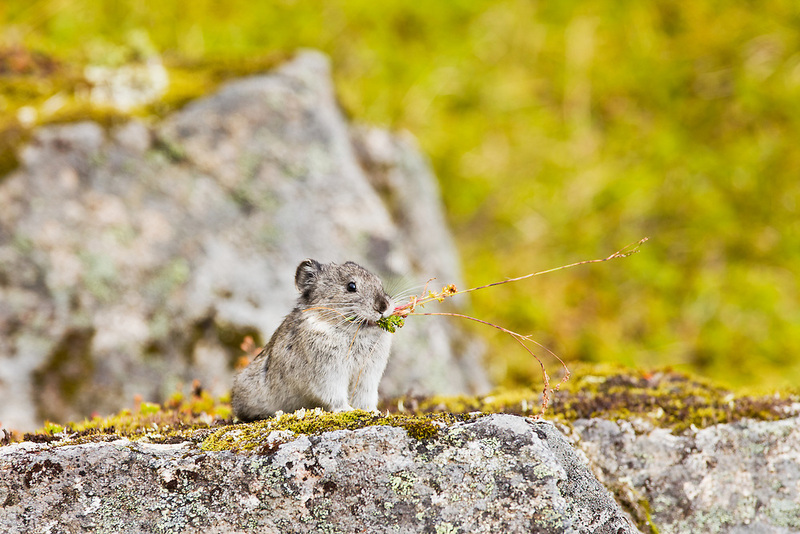 Collared Pika (Ochotona collaris) foraging among talus boulders for food to store for the upcoming winter in Summit Lake Recreation Area at Hatcher Pass in Southcentral Alaska. Summer. Afternoon.